The Teddy Bear theme is quite common in preschools. 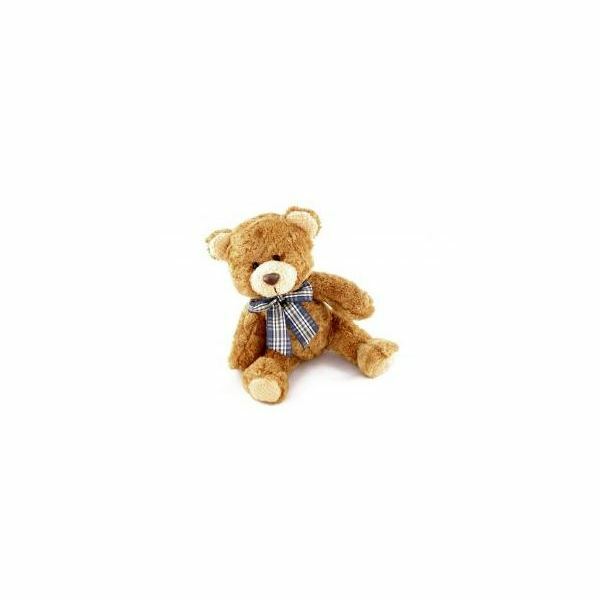 Almost all children have a favorite teddy bear or have played with one. These soft and furry friends are not only exciting for the children to play with, but they can learn important concepts from them as well. Engage the children in teddy bear arts and crafts activities where they will use their fine motor skills and explore all of their senses. Incorporate games, songs and books filled with engaging activities that will captivate your preschoolers. Create an enjoyable unit on this cuddly animal. Use the following articles below as a guide to help you create the perfect teddy bear unit. You'll find ideas such as: going on a bear hunt mural, having a teddy bear picnic, circle and story time, and much more. Are you planning a theme with these cute, cuddly plush animals in your preschool class? These hands-on activities are sure to teach your little ones about teddy bears. Try out these five crafts that will keep your preschoolers busy and smiling with excitement. Corduroy the Teddy bear is a beloved character that Don Freeman created. Introduce your students to the classic story of Corduroy and watch them beam with excitement. In this article you will discover fun activities that correlate with the story. Here is what you need to know to get started. A teddy bear theme is a great choice for preschoolers because it incorporates a familiar animal that they know and love. When introducing this theme to your class make sure you let the students bring in their favorite bear from home. This will give them a chance to make a connection to what you are teaching them. To help preschoolers better understand the attributes of this favorite toy, we have provided you with a delightful song to sing, books to read and craft to make. A teddy bear preschool picnic is a fun way to end your teddy bear-themed unit. Learn fun songs and activities that will add to your picnic as well as simple treats to eat. Ask your class to bring their favorite teddy with them to enjoy the fun, too! When presenting a teddy bear theme to your class, discuss the bear attributes with them. How many legs do they have? What color are they? Use these ideas to help your students become familiar with the basics of a bear. Once they know this, focus on activities and games that will enhance their knowledge. To help make it easier, we have provided you with a list of bear books to read, games to play and activities to do with your students. Find out this and much more. Learn about fun preschool bear theme activities such as, circle and story time suggestions, ideas on music and movement, what to eat at snack time, math and language connections and much more. Use these ideas and suggestions to help you create a unit on bears. Teaching a unit on teddy bears? Why not incorporate important facts about how bears hibernate. Besides learning this you will learn how to make a teddy bear puppet, a class hibernation book and much more. Winter is the perfect time to teach this unit. Read on to get started. What preschooler doesn't love bears? This theme is fantastic because it allows children to have fun and learn important facts about bears. Discover enjoyable craft ideas such as creating fur with marshmallows, cotton balls and felt and three-dimensional bear faces. Learn fun ideas like these and much more. Creating bear mini books have never been easier. A great addition to your bear theme is to have your preschoolers make easy-to-read books that correlate with your unit about bears. Learn how to create these books, extension activities and much more in this in-depth article on creating bear books. Preschoolers love creating art projects and singing songs. Learn how to combine the two by making a "Going on a Bear Hunt" class mural. Students will use their fine motor skills and creativity to make this adorable mural. You will also learn how to make a cute and cuddly cotton ball bear. Nothing keeps your little ones busier than a fun and educational art project. Using preschool teddy bear themes is a fun way to get your students to learn important concepts. Use the articles above as a guide to help you create the perfect bear unit. Do you have any thoughts you would like to share? We welcome your feedback and would love to hear from you. Please feel free to leave your suggestions in the section below. Image: http://www.sxc.hu/photo/1001157 by: GiniMiniGi under the royalty free license.